California’s environmental justice movement has shifted the way policymakers and regulators approach environmental issues in historically marginalized communities throughout the state. Through creating spaces and resources for environmental justice analyses within government, California is spurring policy changes that seek to address both the process and distribution of environmental burdens and benefits. This presentation will explore some of the current challenges and opportunities for environmental justice in assessing cumulative impacts, expanding community air monitoring, and large-scale efforts to address legacy contamination of soil and other media surrounding communities. 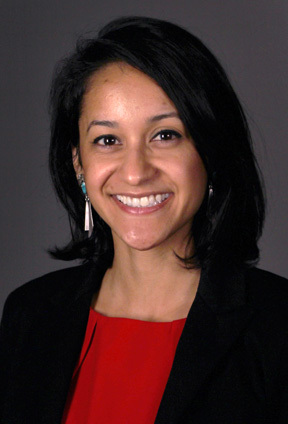 Ana Mascareñas is the Assistant Director for Environmental Justice and Tribal Affairs at the California Department of Toxic Substances Control (DTSC). Prior to joining DTSC, she worked in non-profit advocacy, where she promoted environmental health protections and fought for social and environmental justice in local, state, and national policy efforts. Mascareñas received a Master of Public Health in Environmental Health Sciences from the Fielding School of Public Health at the University of California, Los Angeles.